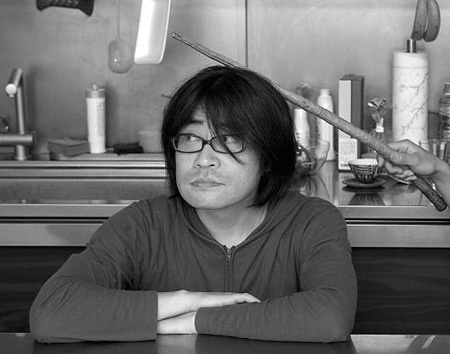 Rei Harakami was an electronic musician born in 1970 in Hiroshima and lived in Kyoto, Japan, who played and mixed with a Hard Disc recorder. He released his debut album in 1998 on the Sublime Records label. His follow up albums,1999’s ‘O*PAQ’ and ‘Red Curb’ released in 2001 showcased his skills as an artist and producer. In 2005, his 4th album “lust” caught on quickly in many music scenes. He composed the background music that is played while using the MEGASTAR-II cosmos, recognized by the Guinness Book of World Records as being the World’s Most Advanced Planetarium Projector, which debuted at the Miraikan (a Japanese technology museum). This background music was released as an album called “Colors of the Dark” in 2006. Harakami regularly played large festivals in Japan such as the “Fuji Rock Festival”, the “RISING SUN ROCK FESTIVAL”, and “sonar sound tokyo”. His collaborations with Akiko Yano (as a duo calledYanokami), Great 3, and UA gained him widespread recognition in Japan. He also received international recognition from his participation from music showcases in Spain, France and Germany, and his collaborations with artists from outside of Japan such as England’sColdcut.